Who Are The 144,000 In The Book Of Revelation? In the Book of Revelation in chapter 7 and 14 there are 144,000 mentioned. Just who are these 144,000? Are there only 144,000 who are saved? What does this number represent? The Book of Revelation has two mentions of this 144,000 and the first comes in Revelation 14:1-8 and specifically refers to Israel as 12,000 mentioned from each tribe. The only tribe that was missing was the tribe of Dan and this might be because of Dan’s fall into idolatry and being cut off from the nation of Israel. It appears the tribe of Joseph replaced the tribe of Dan. The 144,000 of the tribes of Israel were marked by God Who told the angel “’Do not harm the earth or the sea or the trees, until we have sealed the servants of our God on their foreheads’ And I heard the number of the sealed, 144,000, sealed from every tribe of the sons of Israel” (Rev 7:3-4) so apparently God has preserved a remnant of Israel to survive as 12,000 are singled out from each tribe in verses 5-8. The number twelve can be found in 187 places in God’s word and in the Book of Revelation alone there are 22 occurrences of the number so this number is certainly of importance to God. The number twelve is considered a perfect number as it symbolizes God’s power and authority, as well as serving as a perfect governmental foundation as we read that the twelve disciples will be pillars in the New Jerusalem (Rev 21:14) and will be judges in the kingdom, but it can also symbolize completeness or the nation of Israel as a whole as with the twelve tribes of Israel. Even in the temple there had to be twelve unleavened cakes of bread be placed there every week. In the New Jerusalem, there are 12 gates and the city is 12,000 furlongs and if you multiply by 12,000 you end up with 144,000. Some speculate that since twelve is the perfect number of God’s authority, power, and governmental foundation, the twelve thousand from every tribe is the twelve tribes times 12,000 which adds up to 144,000 of those sealed by God in Revelation from the nation or tribes of Israel and the fact that they were sealed indicates salvation and being spared from God’s wrath (Eph 1; Rev 4). There is a cult that believes only 144,000 will be saved and they identify themselves (naturally) as belonging to these 144,000 but these are most certainly not the only ones who will be saved as Revelation 7:9-10 shows that John saw “a great multitude that no one could number, from every nation, from all tribes and peoples and languages, standing before the throne and before the Lamb, clothed in white robes, with palm branches in their hands, and crying out with a loud voice, “Salvation belongs to our God who sits on the throne, and to the Lamb!” John probably calls it a “great multitude” because it was an uncountable number of people he saw. This obviously shows that more than 144,000 will be in the kingdom because these are not Israelites but people from every nation, tribe, and language and they were clothed in white robes, indicating the purification that believers undergo when they believe in Jesus as they become the very righteousness of Christ (2 Cor 5:21). These multitudes in white robes are identified as those who “have washed their robes and made them white in the blood of the Lamb” (Rev 7:14c). In the Book of Revelation chapter 14, there is another, apparently separate group from Israel mentioned where John writes “on Mount Zion stood the Lamb, and with him 144,000 who had his name and his Father’s name written on their foreheads. And I heard a voice from heaven like the roar of many waters and like the sound of loud thunder. The voice I heard was like the sound of harpists playing on their harps” (Rev 14:1-2). Again we might ask who these 144,000 that are mentioned are. Is this group the only 144,000 that will be saved? It doesn’t appear so as we will later see. John records that “they were singing a new song before the throne and before the four living creatures and before the elders. No one could learn that song except the 144,000 who had been redeemed from the earth. It is these who have not defiled themselves with women, for they are virgins. It is these who follow the Lamb wherever he goes. These have been redeemed from mankind as firstfruits for God and the Lamb, and in their mouth no lie was found, for they are blameless” (Rev 14:3-5). Jesus often said to those He called “follow Me” (Matt 4:19) and these people are said to “follow the Lamb wherever he goes” and those who follow Him “have been redeemed from mankind” and are the “firstfruits” of God and the Lamb (Jesus Christ) so this is obviously all who have repented and trusted in Christ to follow Him. The false idea that only 144,000 will be saved from Israel and from the non-Israelite people contradicts Scripture in many places including Revelation 7:9 where John sees “a great multitude that no one could number, from every nation, from all tribes and peoples and languages, standing before the throne and before the Lamb, clothed in white robes, with palm branches in their hands.” A “great multitude” is a number that cannot be counted, unlike the 144,000 that can be. John records another instance of a great multitude in Revelation 19:1 “After this I heard what seemed to be the loud voice of a great multitude in heaven, crying out, “’Hallelujah! Salvation and glory and power belong to our God’” so this could be those who have already gone on to be with the Lord. Thank you for this article. 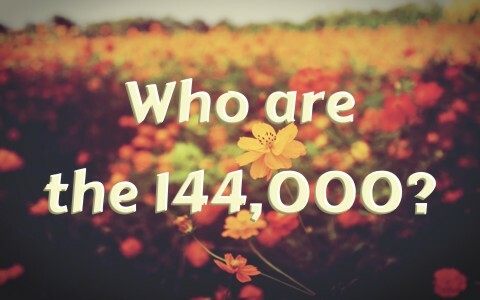 I have been wondering who the 144,000 was and could not find an answer. I have read and Revelations, but the answer didn’t reveal it’s self to me (sorry for the pun). I did not notice a date of publication for it, so I hope it is not a year old. I came here because you published an article about tattoos and wanted to read more of what you have written. Saw this and wanted to tell you “thank you”. Hello Roo and thank you so much. This article was written just a few days ago (this past week) and you can call me Jack or Pastor Jack. I appreciate your respect using “Dr.” and “Mr.” but I am no better than anyone else and by the way, so I believe in just using my name. Your respectful tone is so refreshing and may God richly bless you for that. You blessed my soul. Thank you kindly for the encouragement. Many churches seem to be confused by the 144,000 in Revelation. As you mentioned the 144,000 are sealed and then John sees a great multitude. Many commentators immediately identify the great multitude as being the 144,000, but Revelation says they all wash their robes in the blood of the Lamb, indicating that they lived after Jesus sacrificed Himself. We have two groups of people here. The 144,000 Israelites are 12,000 from each of the 12 tribes, literally just Israelites, representing the first resurrection sealed under the Old Covenant. The great multitude are from every tribe and nation and they represent people of the second resurrection sealed by the blood of the Lamb. Ch14,1-5 are the same group. The number no man number from all nations in Ch7, is the rapture. This is TRUTH. Thank you. This may sound sill.. nut over twenty years ago I ad a ttime of great heartbreak and had a dream that I was in heaven ? There were crowds of people there and a presence which was God was moving in and out of the crowd. He stood in front of me and wrote something on my forehead. I asked a person next to me ( in the dream) what it was..and they said He wrote his name on your forehead. I looked it up days afterwards and I really believe that this happened.,..although it doesn’t make sense..
My mother died yesterday after sudden illness and I am again heartbroken and came here seeking comfort. was my dream simply that ….a dream ? Previous post: Is There A Difference Between The Kingdom Of Heaven And Kingdom Of God?